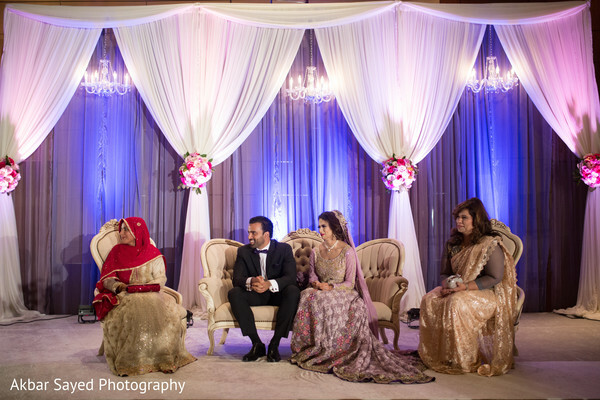 We're back with the magnificent walima! 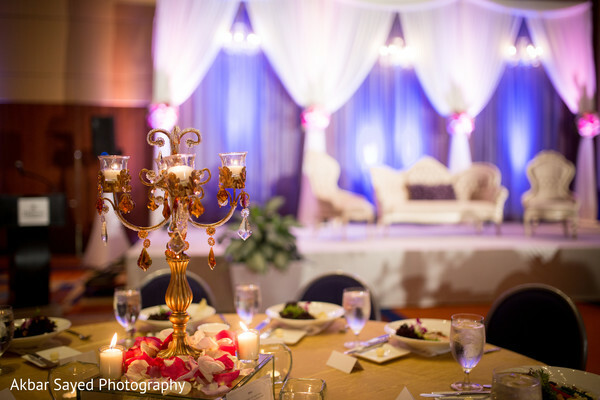 This elegant event was held at the Hilton Baltimore, and the amazing team at Sarah Khan Event Styling added dreamy, romantic decor to the venue! 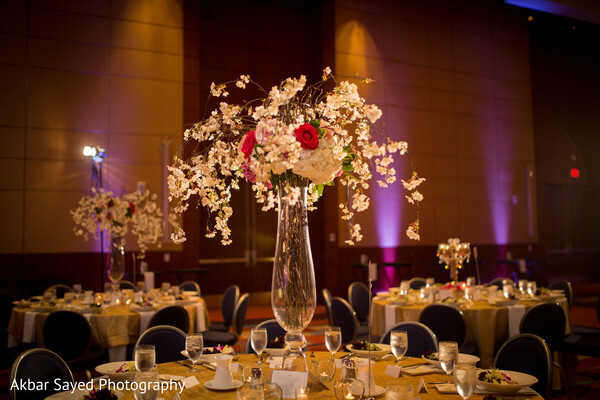 We especially loved the centerpieces: alternating golden candelabra and vases with dangling flower-covered branches, all surrounded by candles! 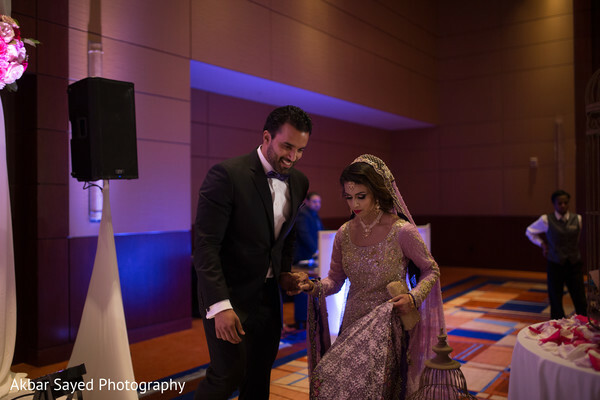 Our beautiful Pakistani bride Irsa made her grand entrance in a breathtaking pastel lavender gown, with flawless hair and makeup by Masooma Hassnain! 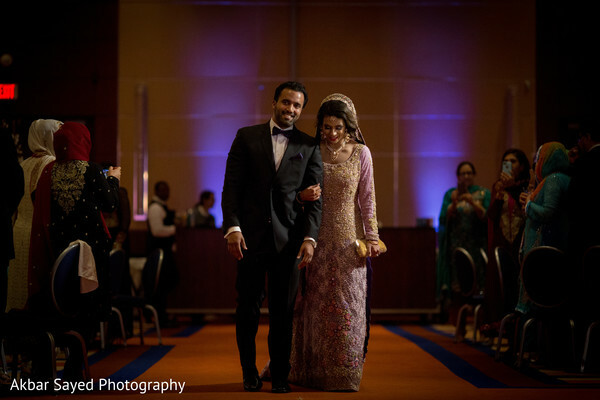 See the highlights from the walima below, and head to the full gallery to see all of Akbar Sayed Photography's photos from the event! Have a great day, Maharanis! 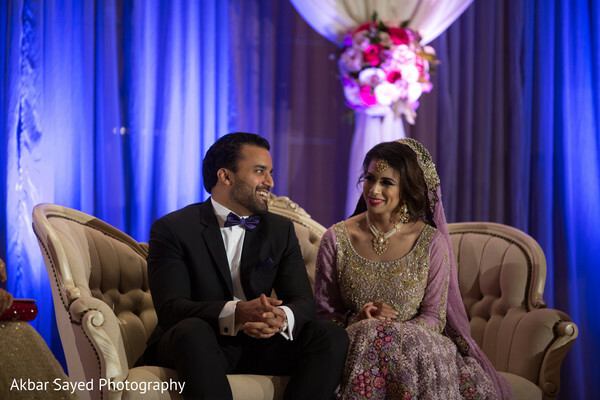 We'll be back tomorrow with another fantastic shaadi! 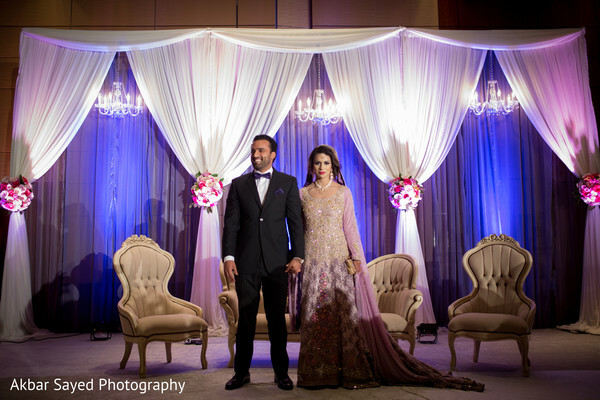 Sarah Khan Event Styling, Hilton Baltimore BWI Airport and Akbar Sayed Photography are members of the Platinum Guide. Love what you see? Explore their portfolios.